Tuscany is the Italy of road movies with its undulating landscape, ancient towns perched precariously on hilltops and palatial estates bordered by neat clusters of cypress trees. Tuscan bread can be used to create a number of tasty snacks. It is a land of intoxicating beauty, with both rural and urban settlements exemplifying Italy at its best. Located in the centre of the country, Tuscany has a natural affinity with its immediate neighbours Emilia-Romagna and Umbria but it doesn’t play second best to them. There is a great deal of authority on the Tuscan dinner table, which groans under the weight of the local produce. The food might be earnest and wholesome but the raw ingredients are among the best in the country. Rich game, olive oil, fresh bread, beans and exceptional wine are among the culinary highlights in this part of Italy. In Tuscany the food on the table is very much linked to its place of origin. There are relatively few steps involved from harvesting vegetables or hunting game to settling down to the finished dish. The lightest of touches is used to transform raw ingredients into meals but the flavours still sing on the palate. As with all regions of Italy, Tuscany has its speciality hams: here, it is the EU-protected prosciutto Toscano, which is a dry-cured ham that takes on the flavours of its garlic and rosemary rub. Hearty peasant food is another culinary highlight and Tuscan bread (pane Toscano) is present at every meal. 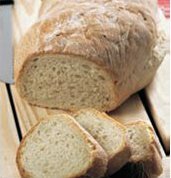 The dense, unsalted loaves are an acquired taste but add some olive oil and garlic and the bread is transformed into the Tuscan speciality fettunta. A few more added ingredients and, hey presto, it’s crostini. The intense Pecorino Toscano cheese is also a big favourite while Tuscan olive oil is used for cooking and dressing food. Although Tuscans are affectionately known as ‘bean eaters’ in Italy because of their fondness for, and huge consumption of, white beans, pasta is also enjoyed, particularly when paired with rich, gamey sauces. Pappardelle is the Tuscan contribution to the pasta cupboard and these large, flat egg noodles are perfectly suited to the robust flavours that are piled on top of them. It is therefore no surprise that the wines of the region are typified by bold flavours to hold their own with the food, with Chianti and Montepulciano among the better-known regional wines. There are many great towns and cities in the region, all with their share of unique shops. 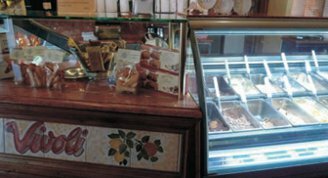 Florence is famous for its gelaterias and Vivoli is consistently praised for its delicious selection of Italian ice cream. In fact food, art and architecture are the backbone of Florence and the city is a cultural overload. When the sightseeing has been done, the Mercato Centrale provides everything required for the evening meal. This indoor market is arranged on two floors, and there are also stalls selling snacks and takeaway meals. 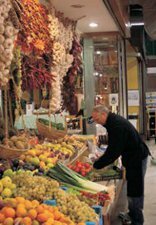 The nearby town of Figline Valdarno again has a wonderful food market, as do Montepulciano, Lucca and too many others to mention. The market town of Greve lies in the heart of Chianti country where Antica Macelleria Falorni is a centuries-old butcher’s that sells regional specialities. Check out the many exceptional delis in the town, which offer a tempting array of cured hams, local cheeses and olive oils. The main town celebrates its food and wine in this gastronomic spectacular that includes tasting and cellar tours in the last weekend of May. If you want to unearth your own piece of fungi gold, what better than a truffle hunt with an expert? If you want to eat out in a picture-postcard setting, it’s difficult to beat this intimate, stylish restaurant. The menu is created around seasonal ingredients celebrating the local cuisine. Tuscan flavours are served in a delightful restaurant with a romantic terrace for summer dining. This consistently highly rated Florence restaurant offers excellent value for money with its Tuscanthemed menu that changes each day, and an impressive wine list. 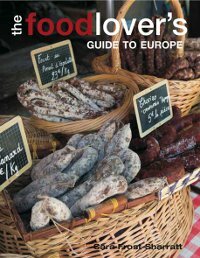 'The Food Lover's Guide to Europe', published by New Holland Publishers, features over 40 destinations in 25 countries and, as you can see from the above extract for Tuscany, it has a great deal to offer e.g. local specialities and producers, markets, shop and restaurants. In fact, it even has some recipes to bring back those memories once you have returned home. It would not only make an unusual and useful gift for the seasoned traveller or for those who enjoy short breaks but is also an interesting read for non-travellers. Follow the link above for a copy at a very good price as well as free P&P worldwide.